Formal consultation runs from today (June 18) until July 22, 2018. People are being encouraged to have their say by going online to complete a questionnaire at www.futurenorthants.co.uk. - The proposal must be based on existing council boundaries. Alongside the consultation website, copies of the consultation document and the questionnaire will also be available in libraries and local council offices from Monday, June 25. 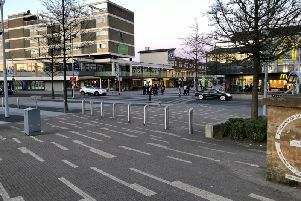 Other consultations by the local media and by individual councils may take place at the same time, but people are being urged to respond to the official Local Government Reform Northamptonshire consultation being run by all eight Northamptonshire councils for their comments on the proposal to be considered.